by 東洋エンタープライズ Toyo Enterprises TOYO ENTERPRISE CO.,LTD. 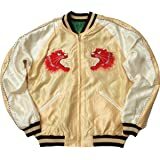 TT14277-145 Tailor Toyo by Toyo Enterprise Men's Modern Fit Japanese Souvenir Jacket / Mens Early 1950s Style Aging Model Sukajan / Fully Reversible, No inside padding, Acetate satin, Japanese embroidered souvenir jacket ( Satin flight jacket, Bomber jacket, Varsity jacket, Baseball jacket style for Men) / This jacket is produced by Japanese casualwear brand Tailor Toyo from Toyo Enterprises and made in China. This satin jacket has been embellished with embroidery of Japanese Maiko ( Geisha ) and Japan Map. And this sukajan is cut to Modern Fit with shorter length for a more fashion-forward looks. And the jacket is not bulky or puffy. Fit : Modern Fit with shorter length for a little more fashion-forward looks than original Fit. Our model wears a size Japan M and is 175cm/5'9″tall, 61kg/134lbs and 91cm/36" chest. 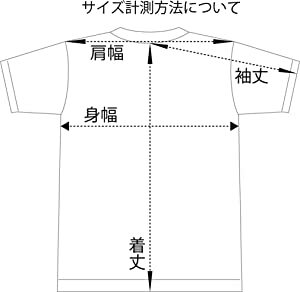 The following provides approximate garment measurements. (Not human body measurements). Please compare actual garment measurements of our product to another you may own. 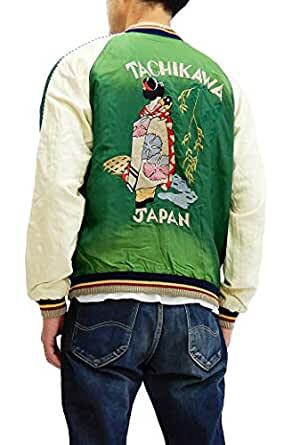 ・Japan S ( US XS )__Width: 19.7"__Length: 23.6"__Sleeve: 31.5"
・Japan M ( US S )__Width: 20.9"__Length: 23.6"__Sleeve: 32.3"
・Japan L ( US M )__Width: 22.0"__Length: 24.4"__Sleeve: 33.1"
・Japan XL ( US L )__Width: 22.8"__Length: 24.4"__Sleeve: 34.3"
Lay the clothing flat and measure 3 cm under the armhole. Measure from side to side. (Considering the thickness of clothing, measure from inside the material on each instead of external measurements). Please note that : This product is originally intended to wear as a Modern-Fit. If you prefer elaxed fit, please choose one size bigger. For more information, please refer to HOW TO MEASURE THE CLOTHING shown in the image. If you are unsure of the size to order, we will assist you. Please contact us by e-mail ( pine-avenue@spa.nifty.com ) with the following information : Height, waist circumference measure, chest circumference measure, body weight, (and type of clothing to be worn beneath the jacket most of the time), as well as the type of fit you prefer : Trim, roomy or oversized. Fully reversible, No inside padding. Outer shell and Lining : Made of 100% light-weight No stretch acetate faded satin. This item is dyed and washed for the fashionable vintage feel and look. The fabric with color unevenness, discoloration and sophisticated wrinkles gives it a true vintage feel. High weave density satin offers a unique flowing drape and sheen with a color unevenness, silky hand and sophisticated wrinkles on the face of the fabric for the fashionable vintage feel and look. Satin is a weave that has a glossy face and a soft, slippery texture. Interlining (Type of insulation) : No fill, No inside padding. Lightweight outerwear, suitable for spring and fall seasons. There is no internal batting, so the jacket is not bulky or puffy. It wears clean and close to the body. And this light piece of outerwear can be worn year-round, especially in spring and fall. Types of garment closure (Placket type) : Zipper closure. Storage : The front and reverse sides have curved double welt pockets reinforced with triangular gusset on waist. Double welt pockets with color-contrast. 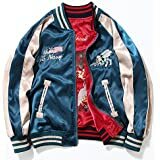 Style : Mens Casual Fashion / Japanese souvenir jacket / sukajan / satin flight jacket, bomber jacket, varsity jacket, baseball jacket style. Pattern Type : Embroidery. Embroideries are created like hand work for a vintage-like effect. Sleeve Style : Contrast raglan sleeves. Sleeves have a contrast stripe with piping. Other details : Two-ply striped knit ribbed sleeve ends, collar and waistband are comfortable and flexible with a blend of 70% acrylic and 30% wool fabric. Tailor Toyo is a casualwear brand founded by Toyo Enterprises in Tokyo, Japan. 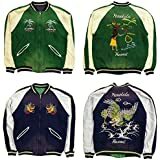 And its focus is on the reproductions of embroidered japanese souvenir jackets, vietnam jacket, tour jacket and other items with the golden ages of 1950's military fashion motifs. Featuring American vintage military patterns, motifs and designs, the lineup includes pieces in Japanese sizes and silhouettes with the materials and details that have been enhanced with modern casual styles for today's tast. Tailor Toyo's products are designed in Japan, but their inspiration comes from the American military spirit. This style combines the original features of classic vietnam jackets with styling and tailoring from Tailor Toyo collection. 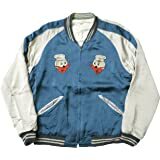 This jacket is the reproduction of the original vintage souvenir jacket which existed in the early 1950s. * This item has been specially treated to produce a vintage-like effect. Note that this may cause some of the threads in the base material and embroidery to appear loose or split in parts. Note that this is entirely consistent with the vintage effect and is intentional. * Note that the embroidered accent is extremely delicate, so avoid striking it against surfaces. Tumble drying should be avoided, as it can cause the garment to lose shape, fray, or shrink.